Temperatures, activities, and wardrobes aren't the only things that need to change a bit for fall. Our homes also need to adjust to the new season. Fall is an ideal time to freshen up your home's decor and get organized for the new school season. It's also the time to prepare your home's exterior and landscaping for the impending cooler temperatures. If you are ready to embrace the new season, here are a few ways you can prepare your home for fall. 1. Bring out the blankets. You packed up your blankets and cozy throws for spring and summer, but it's time to bring them back out. Keep a few blankets readily available for family and guests in a nearby basket or tuck them into a storage ottoman for quick access. Replace some of your old and worn out throws with new ones like this Luxe Throw for cuddling on the couch. 2. Heat up the hearth. Fall is perfect for sitting around the fireplace with a cozy fire at home. So before you light your first fire, be sure to freshen your hearth. Throw away your old hearth tools you've had for a decade and bring in new ones along with a new fire screen to compliment the hearth. Before using your fireplace that first time, it's also important to have your chimney inspected. Creosote buildup could start a fire in your chimney and pose a danger to you and your family. Find a reputable company to inspect your chimney. 3. Spruce up your bedding. Those cool and crisp nights are around the corner so it's time to adjust your bedding. 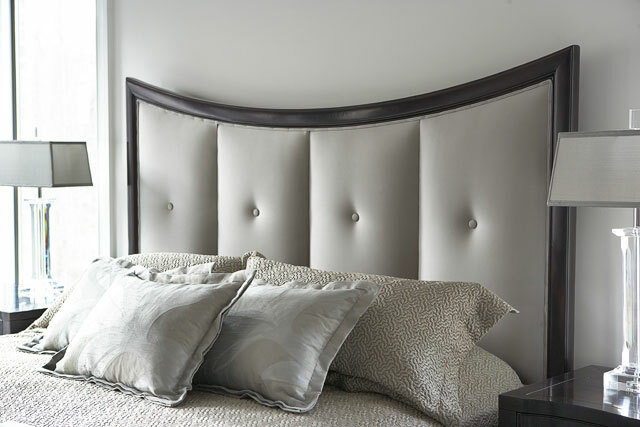 Add a duvet or a coverlet for extra warmth or a blanket to go over the sheets. A quilted coverlet, like this Vannerie coverlet, is an excellent option because it is machine washable and has a cotton fill that provides the extra warmth needed on those cold nights. Additional accent pillows also offer something to snuggle up with. 4. Refresh your landscaping. 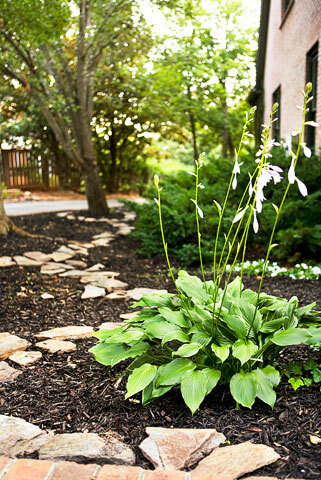 Before it gets too cold, be sure to trim up your outdoor landscaping. Trim those shrubs and bushes around your front porch and along your front walkways to create a more inviting entrance. Now is the time to also do your fall plantings. It's a great time to plant new trees and shrubs. The weather is cool and the soil is still warm enough for roots to thrive. You can also plant certain flowers, like pansies, to add additional color to your landscaping. If you have a garden, it's time to plant your cool season vegetables like broccoli, cabbage, lettuce, and spinach now so they have enough time to mature before the first frost. 5. Prepare your doors and windows. With spring and part of summer, your windows and doors might have spent a good amount of time open letting the fresh warm air in. Before the cold sweeps in, be sure to check your doors and windows to make sure they are sealed properly to prevent cold air from creeping into your home. For windows, caulk and sealants are options for sealing and insulating. Weatherstripping your doors is a quick and easy way to prevent unnecessary drafts from entering. 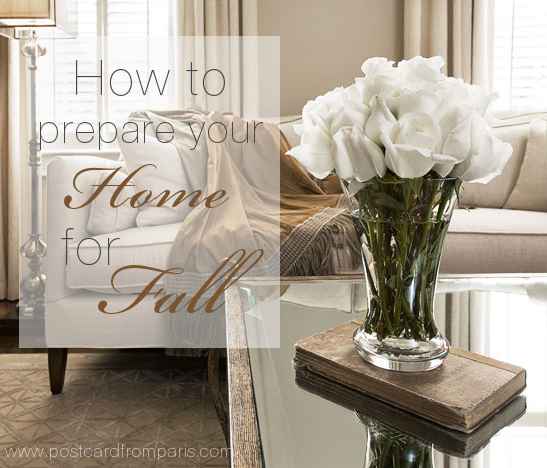 What's one thing you do each year to prepare your home for the fall season? Looking for additional ways to prepare your home for the new season? Download this fall design guide full of additional tips, trends and even a yummy fall recipe.